The first time I went to Berlin was August 1989 and the Wall was still up. I remember changing 25 DM at a rate 1:1, crossing into East Berlin at Checkpoint Charlie, spending one complete day in the East, eating lunch, dinner, paying entrance for museums, spending money on transport and still being left with 15DM at the end of the day. So, with two hours to spare before midnight when my day visa expired, I did what I had always wanted to do: I went to a Kneipe (Pub) frequented by a dozen locals and said to the barman “All drinks are on me“. For the next couple of hours, with tongues let loose by alcohol, I must have become more privy to GDR state secrets than the local Stasi station chief. A couple of old-timers even walked me to the checkpoint at Friedrichstraße to put a good word in for me, in case I wasn’t let out that late at night. It is hard to feel nostalgic for the old unloved DDR except for its prices. I spent the incredible sum of 1DM at the East German equivalent of MacDonald’s in Alexanderplatz. Except that any capitalist concept of service was lost within the Marxist dogma of division of labour. What this meant in practice was that I had to queue once for my hamburger, twice for my chips and a third time for my generic fizzy drink. By the time I sat down to eat, my meal was cold and stodgy – but hey, who cared about the consumer? Wasn’t it well-organized from the workers’ point of view? Incidentally, my assumption that ketchup of some kind would be available on the tables was wrong; it was then I realized what the fourth queue was for. What many who weren’t there don’t realize is how close to the Wall you could get from the West side. You actually climbed up at certain viewpoints to look across over the mined-over, barbed-wire-strewn, cold war landscape – soldiers-in-foxholes and all. And every part of the Wall was painted over with graffiti while when looked at from the East – from afar, of course – its grey seemed to symbolize the steely nature of the regime. And West Berlin? Well, what it wasn’t was claustrophobic. Wide tree-lined avenues in the Ku-damm where a coffee cost a fortune, restored eclectic architecture in Schöneberg and Charlottenburg, the park in Tiergarten and villas in Kladow never gave you the impression that something was amiss until, well, until you tried to get out. The weirdest part of the whole setup was the U-Bahn. 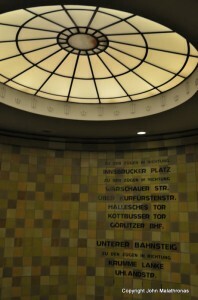 I remember travelling north on the U6 line and crossing the ‘ghost’ stations of the Französische Straße and Stadtmitte (sealed, untouched and complete with 1960 posters on the walls) to reach Friedrichstraße which then seemed to be the Centre of the Universe. 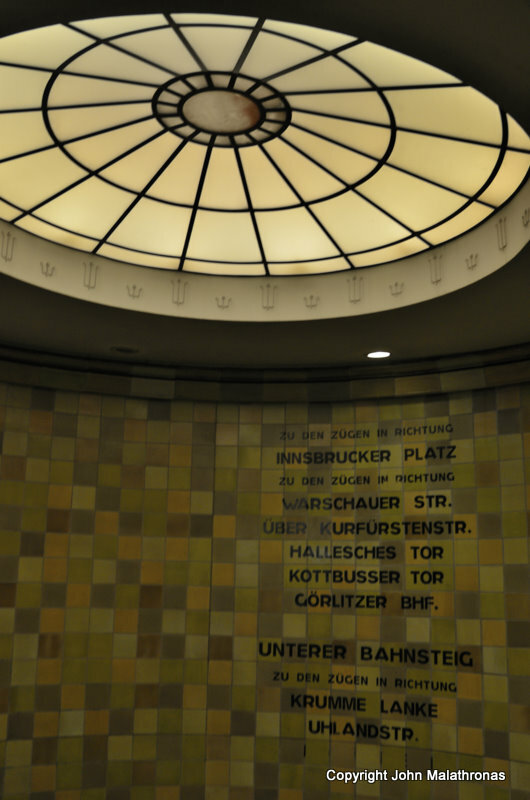 I walked up through machine-gun yielding soldiers to the overground S-Bahn (operated by the GDR even in the West) and returned home looking over the soldiers and the bunkers and the foxholes. I returned once more last weekend. Only a very perceptive eye would now notice any difference between the old Western and Eastern sectors (hint: where are the trees? ) 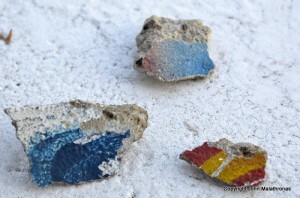 and there are no reminders of the old GDR. Nothing? 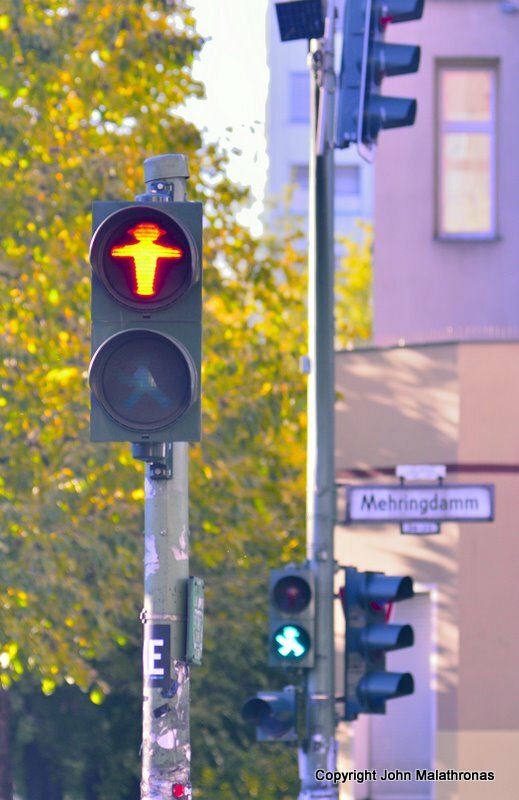 No, there is still something left of the old GDR in Berlin, and it’s growing: the rather stylish red and green men in pedestrian crossings – the Ampelmännchen, first designed by traffic psychologist (!) Karl Peglau in 1961. They have invaded the whole of Berlin now, defying countrywide standardization attempts. It’s gratifying to know that Berliners have finally moved on and cast appreciating eyes upon a design from the old, unloved police state. I mean look at those cute hats! Loved this John. I only visited for the first time this year and was shocked to see the wasteland that used to be there before Potzdammer Platz in the Wings of Desire film. Thought the music tour around PBerg was really interesting, packed with great little nuggets of DDR history, such as that the forerunners of Rammstein basically gave out very exp music kits to loads of Ossie bands which fuelled the whole scene there. I’d loved to have visited when you first did, but I know that’s an indulgent thought..
Hi Jools, glad you enjoyed it. I am sure you’ll have the opportunity to observe the development and progress of many cities in the world during your travelling lifetime – and I hope you tell us about it. Thanks – there are buttons to follow me in Facebook and Twitter on the top of page. Berlin is a great place and I love the sense of humour that so many of the city’s residents display when out in bars. It’s changed markedly in recent years and Prenzlauer Berg had a chic, family-orientated feel to it while I was there recently. Yep. And hope to visit there in 2014 (again).